A new traffic-free link connecting two rural communities in Argyll is to open to the public next week following an investment of nearly £2million. The protected pathway between North Connel and Benderloch has received the funding from the Scottish Government, with Sustrans Scotland delivering the project. The route is designed to improve walking, cycling and wheeling pathways between the villages and is the first milestone in a UK wide improvement scheme under the National Cycle Network. Previously, the two communities were only connected by a busy trunk road with no pavement on either side. Campaigners have fought for the best part of a decade to secure the new link. Argyll and Bute councillors are to join Active Nation commissioner Lee Craigie, Sustrans chief executive Xavier Brice and national director John Lauder, alongside members of the local community and pupils of Lochnell Primary School to officially declare the route open on Wednesday April 17. Plans have been submitted by Sustrans to double the amount of traffic-free sections by 2040 to span 10,000 miles, creating a UK-wide network of paths connecting cities, towns and countryside. The link at Ledaig, forming part of the National Cycle Network Route 78 throughout Argyll and Bute and the Highlands, is the first of the projects to reach completion stage. 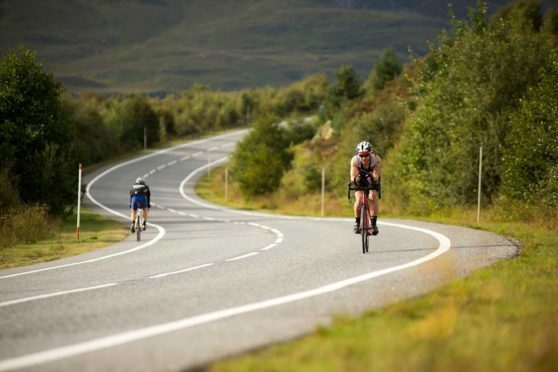 The Caledonia Way, spanning the National Cycle Network Route 78, is used for an estimated 2,500,000 cycling journeys and 3,900,000 pedestrian journeys each year and contributes significantly to the local economy.